You’ve gotta love the sweet and tart flavor of a good pickle. 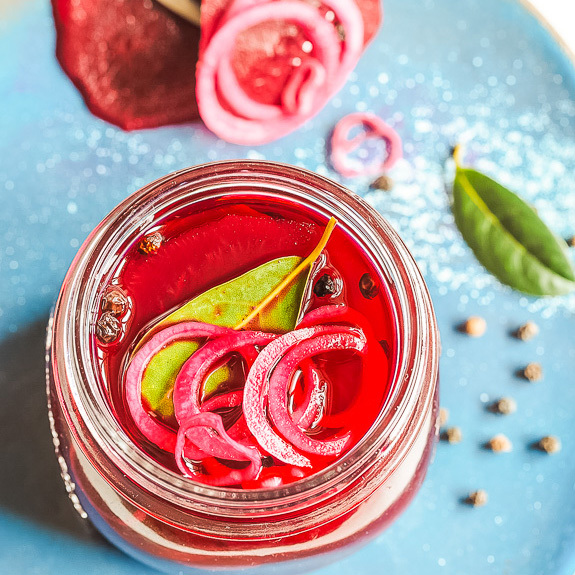 Now get that same flavor with even more fiber, vitamins, and nutrients when you make your very own quick pickled beets. 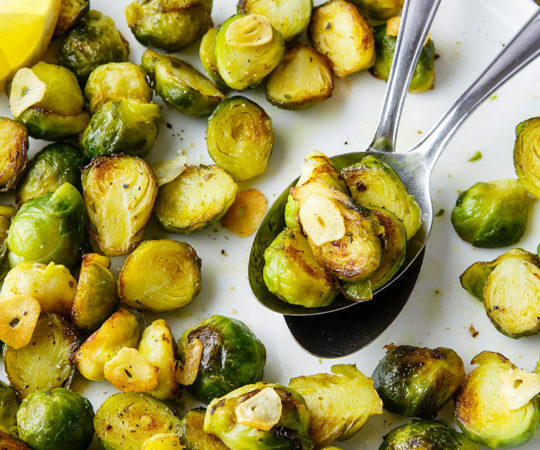 They’re great as a side dish, a snack, or even chopped up in salads. 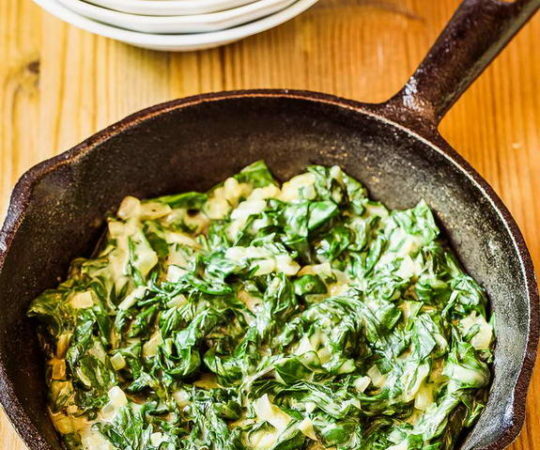 Looking for an interesting new side dish or veggie preparation? 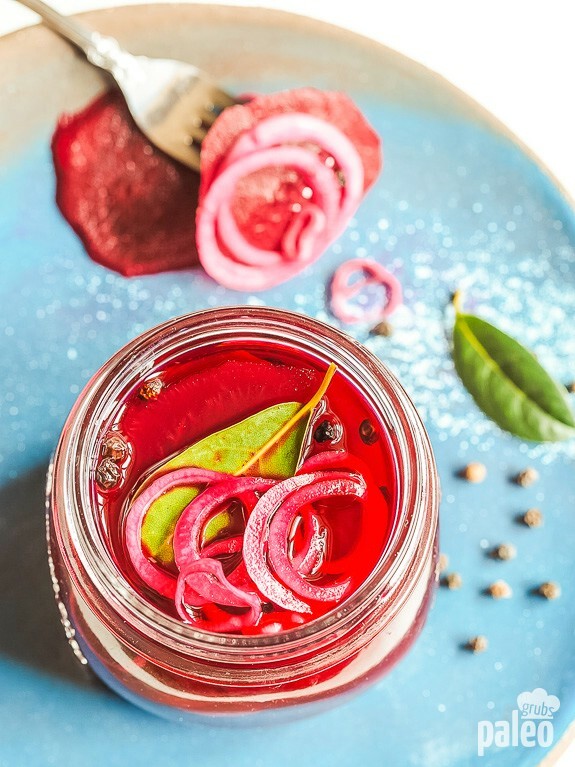 We’ve got it right here: quick pickled beets. These tangy, firm pickled beets will liven up any meal and are a cinch to make. Beets are really a unique vegetable. First of all, they are super healthy. They have tons of vitamins and minerals, like folate, vitamin C, iron, and vitamin B6 and are chock full of fiber. 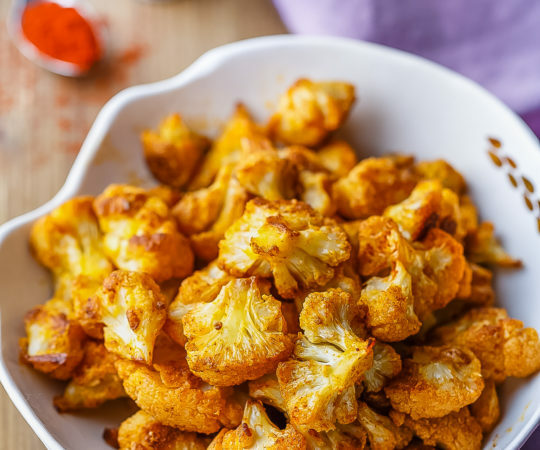 They also have a wonderful earthy flavor that is unlike any other vegetable, in my opinion. Beets, a root vegetable, have been used for millennia not only as a food, but for their bright red color. They have been one of the main sources of natural red dye color in many cultures. Although you can get varieties of beets that aren’t bright red, why would you? The red ones are so pretty! Beets can also be prepared in a variety of ways. 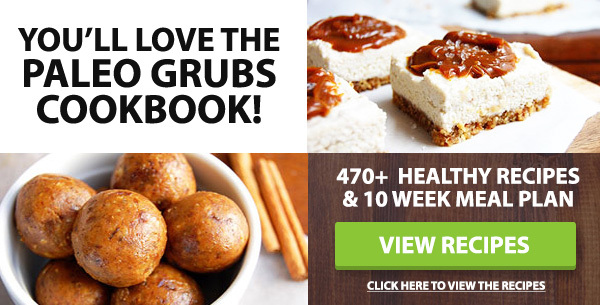 You can certainly eat them raw – they are crunchy like a raw carrot – and beet juice is a favorite in healthy smoothies. But they are also good steamed, boiled (lightly so you retain all their vitamins and minerals! ), baked, and mashed. You’ll often find them mixed with other root veggies like carrots and rutabaga. But this recipe puts a new spin on an old classic – actually, that’s not entirely true. 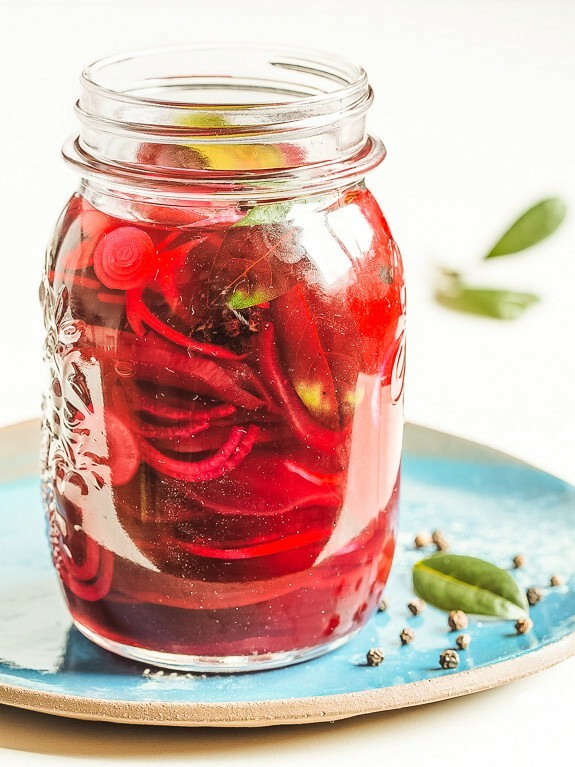 Some cultures have been pickling beets since they began! But pickling beets is new to me and I bet it is to you, too. Pickling has been used throughout history to keep vegetables edible long after they have been freshly picked. 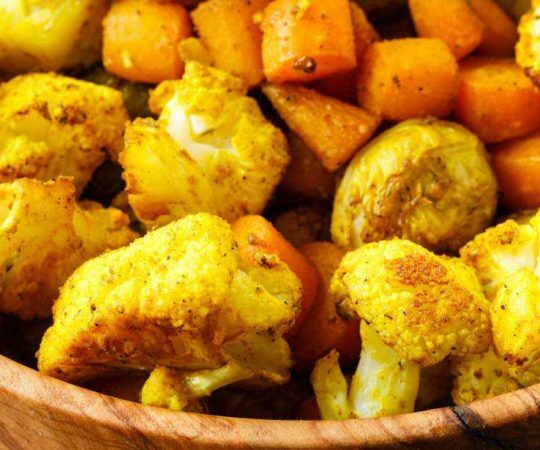 The vinegar preserves the vegetables and, lucky for us, gives the veggies a bright, tart flavor, while still retaining the vegetable’s inherent flavor. 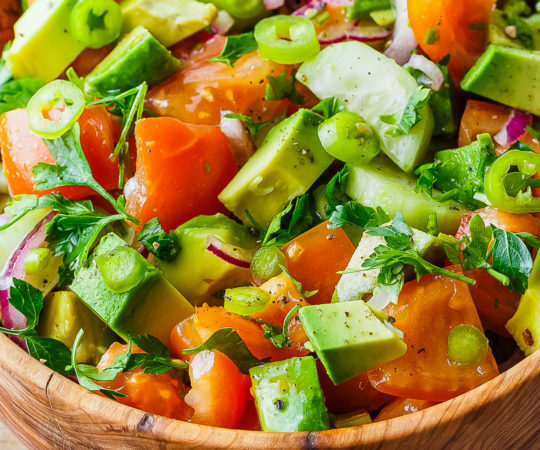 While pickled vegetables have historically been kept on shelves for months on end, we recommend keeping this recipe in your fridge for no longer than 2 weeks. Pickling is all about flavor. Yes, vinegar is the dominant flavor of anything pickled, but the other flavors you put in the jar with your vinegar and vegetable will also seep into the ultimate flavor of the pickle (that’s right – a pickle can be anything pickled – not just a cucumber pickle!). For this recipe, we use a red onion. You could theoretically use any type of onion, but I really recommend a red one. They have a stronger flavor, which, in the raw some people find overwhelming. But the onion needs a strong flavor in order to blend with the even stronger vinegar flavor. We also use a few bay leaves, to enhance the earthy flavor of the beet pickle and a bit of honey to balance the tartness of the vinegar with a bit of sweetness. 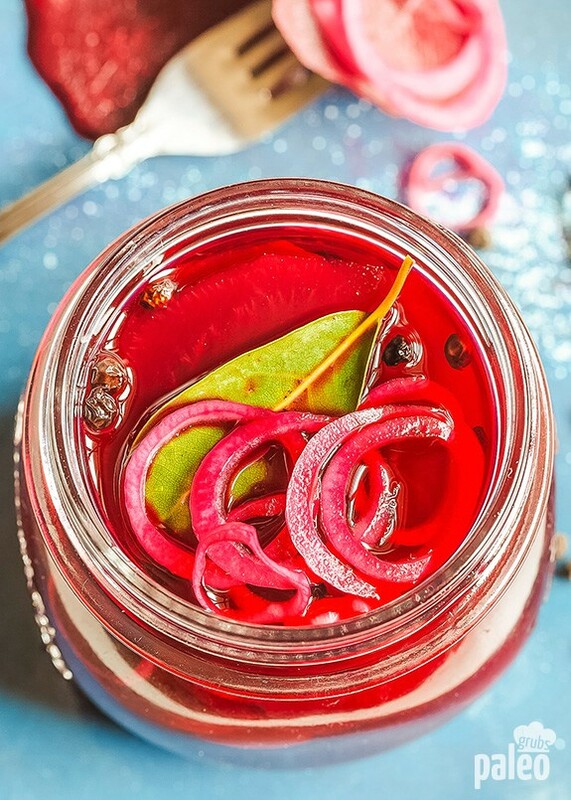 I use these quick beet pickles in a ton of different ways. First of all, use them whenever you might normally use a pickle, like on a burger. They’re also a great side for pot roast or any type of beef. 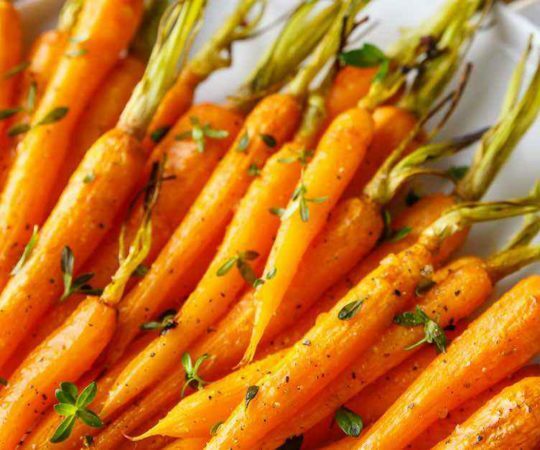 Chop them up and mix them with steamed carrots to give a plain side dish a blast of flavor. Or use them in salads to add a new, bright dimension to the variety of veggies in your salad bowl. I love to eat them straight out of the jar as a snack! But however you decide to enjoy your quick pickled beets, you’ll know that you’re eating a healthy, flavorful, Paleo-friendly vegetable. To prepare the beets, trim greens and root ends. 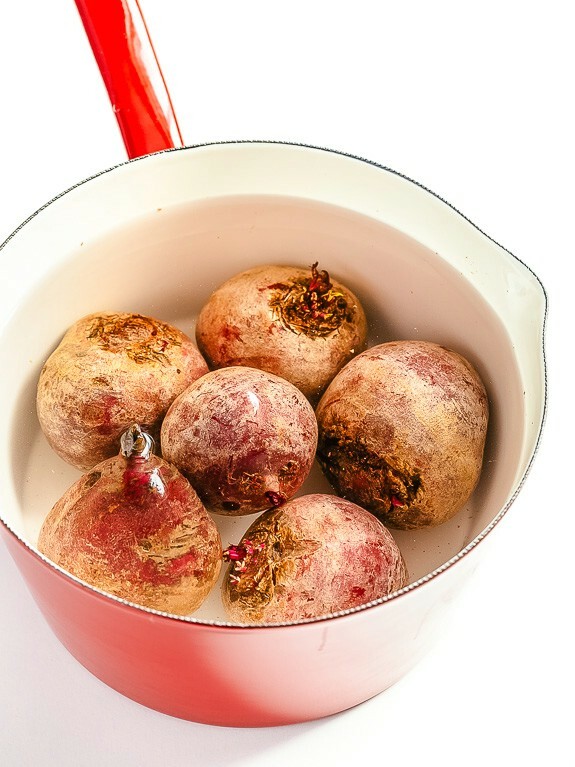 Wash the beets thoroughly using a soft scrub brush, place in a pot and cover with water by about an inch. Bring to a boil over high heat then lower the heat and simmer for 35 to 45 minutes or until beets are easily pierced with a fork. Remove from heat, drain and rinse with cold water. Using a mandolin or sharp knife, thinly slice the beets. Arrange the beet slices in alternating layers with the onion slices in a 1-quart canning jar and set aside. 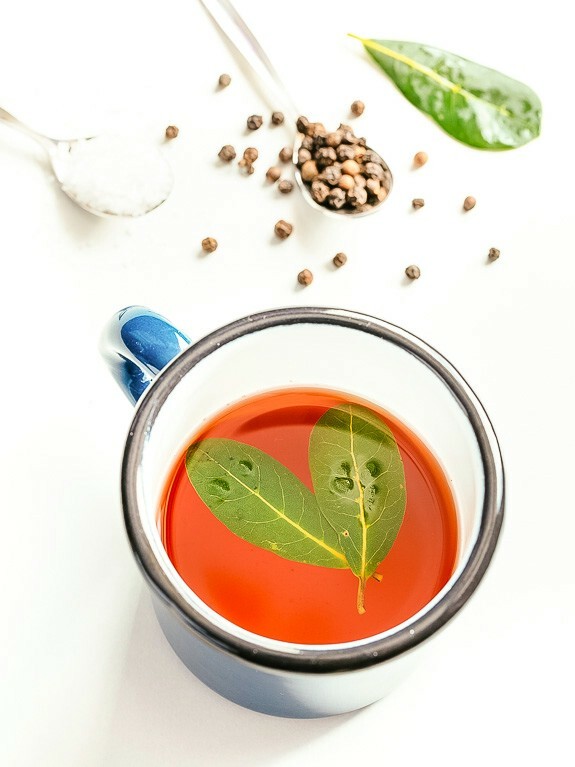 In a small saucepan, place the vinegar, water, salt, honey, black peppercorns and bay leaves and bring to a boil over high heat. Remove from the heat and pour over beets leaving 1/2-inch headspace. Screw on lid and refrigerate for a minimum of two hours before serving.